I will be performing a new, collaborative piece with dancer/choreographers Katie Moorhead and Glen Lewis, interacting with illusion mirror installation by Philippe LeJeune at the Designers Ball II: Surreal. Will definitely be a trip! I wrote an article on Tenderloin Opera Company called, "Work the Work, Daily: Community-Building, Music-Making, and Conference Culture with Tenderloin Opera Company" that was published at New Music USA. 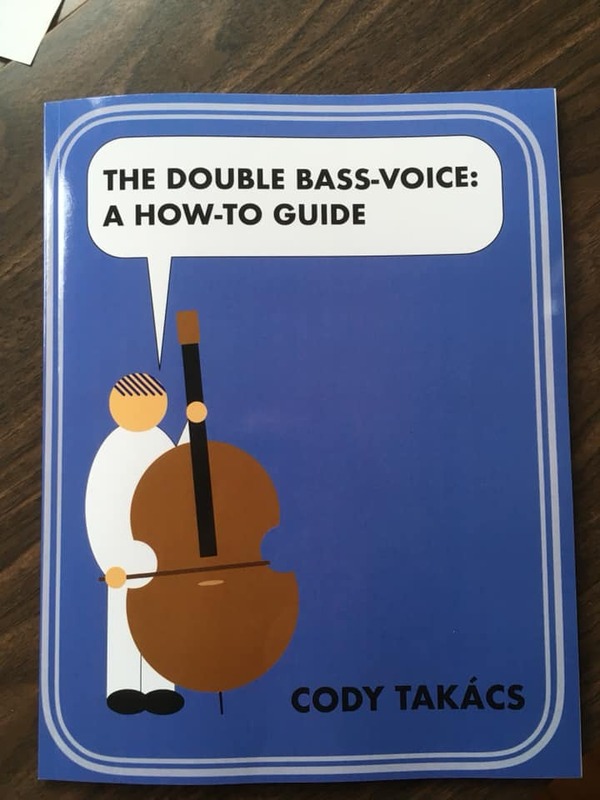 Happy to receive my new copy of The Double Bass-Voice: A How-To Guide by fantastic bassist and scholar, Cody Takács. An excerpt of my double bass-voice piece, Pretty Polly is used as an example in the book. Pick up your own copy HERE! Andie Tanning Springer's album release party. 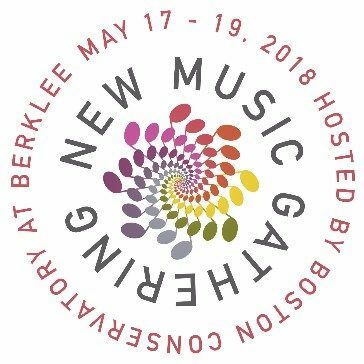 There will be a screening Windeye, as well as all the all the other audio-visual pieces on her album "Dandelion"
I'll be playing trombone as part of Water Music: a site-specific, environmental work inspired by the Charles River. 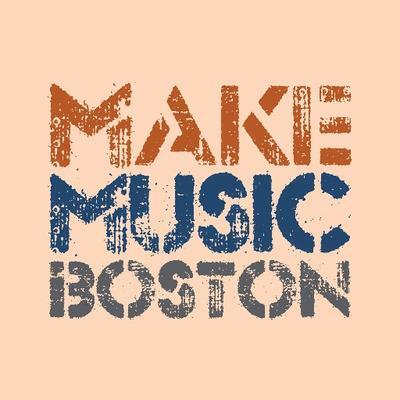 It is one of the Anchor performances at Make Music Boston, a day-long musical celebration. 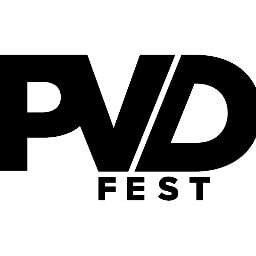 I'll be playing with Verdant Vibes on the main stage, and Marching with Tenderloin Opera Company in the parade at PVD FEST, Providence's citywide arts festival. 6pm (w/ Tenderloin Opera Company) PARADE THROUGH TOWN! 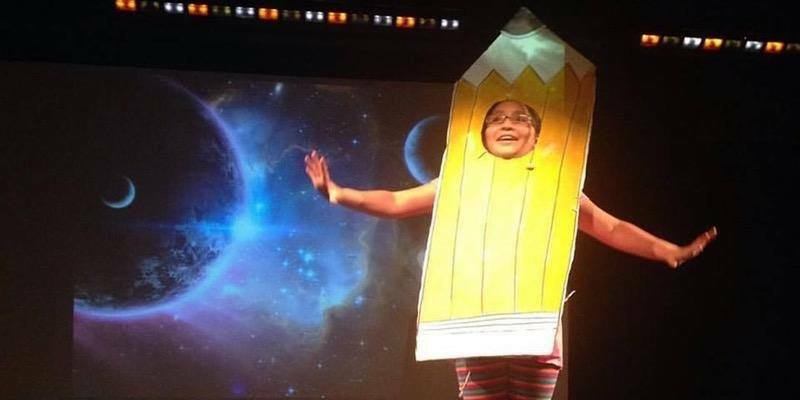 I'll be playing with Verdant Vibes at the Out of This World Gala, fundraiser for The Manton Avenue Project, a wonderful after-school program in playwriting and theater making for kids in from the Olneyville neighborhood of Providence. I'll be playing bass in a jazz combo with Kirsten Volness (piano), Keaton Nelson (guitar), and Jamie Cores in this fundraiser for 134 Collective, which hosts Tenderloin Opera Co., and many other homeless service and advocacy groups. The event will include a fantastic, four-course meal by chefs from local restaurants, wine, drinks, and a raffle. Details and tickets HERE. 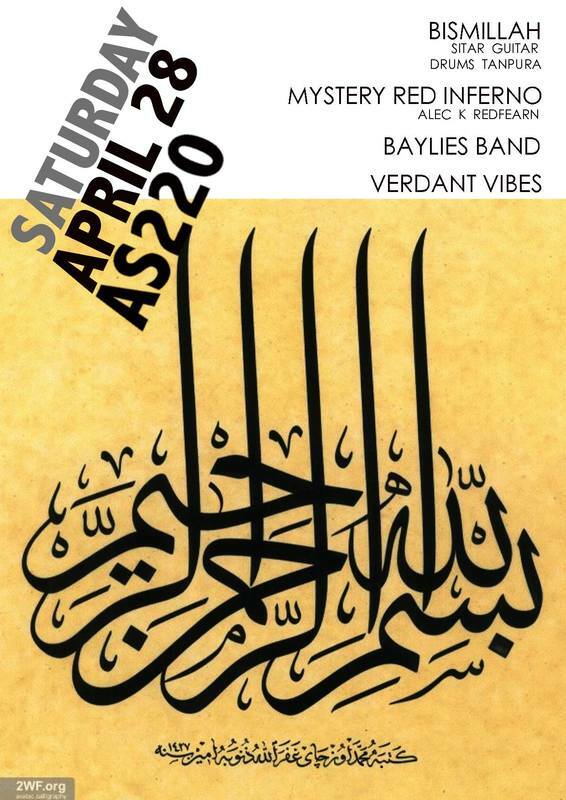 I will be playing bass with my new music ensemble Verdant Vibes at show at as220 with local heroes Bismillah, Mystery Red Inferno (Alex K. Redfearn), and New Bedford’s own Baylies Band. Here is a cute piece about me and Kirsten by Elizabeth Rau at the University of Rhode Island webpage. 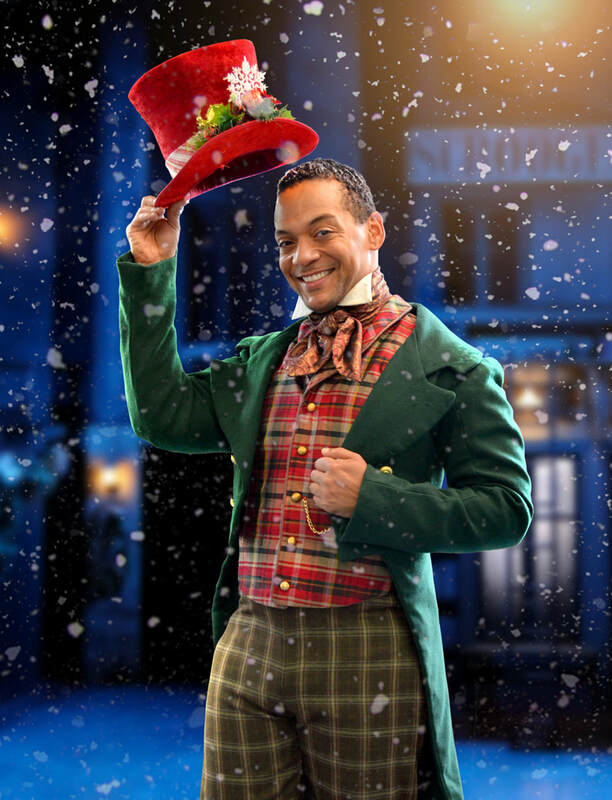 Tenderloin Opera Company will be making a cameo appearance at Trinity Repertoire Company's production of A Christmas Carol! 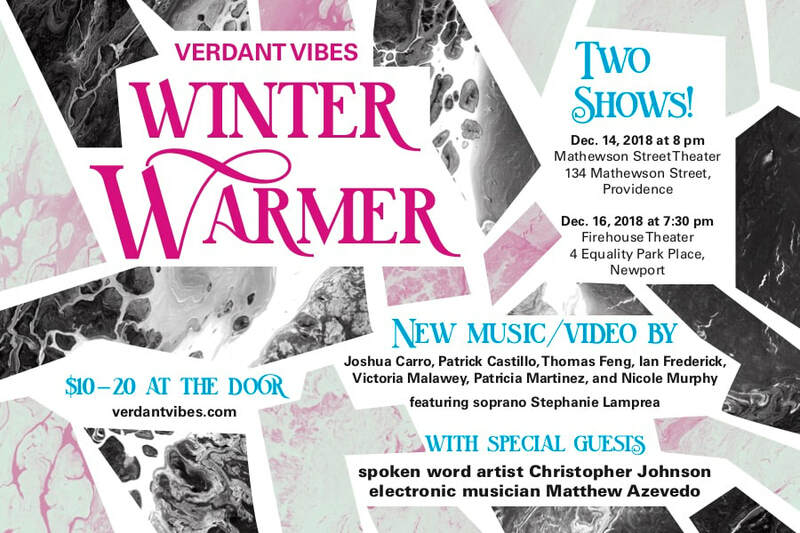 I will be playing bass in the first concert of season 3 of Verdant Vibes, the new music ensemble and concert series I co-direct with Kirsten Volness. 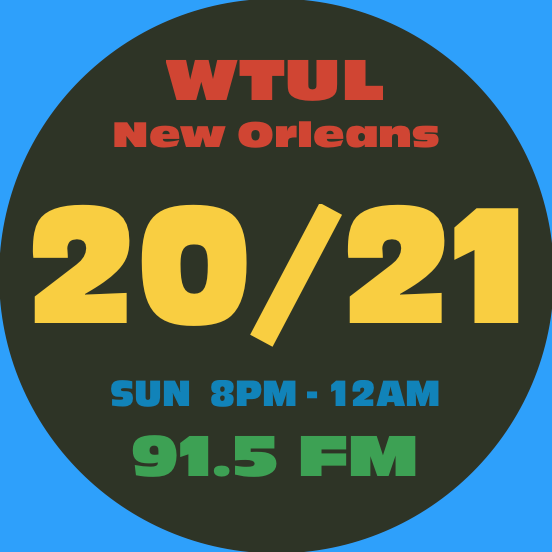 We will be playing new music/media by Osnat Netzer, Kristina Warren, David Jason Snow, João Pedro Oliveira, and Amanda Feery. I will be playing bass at the First Fridays Concert Series Featuring Michael DeQuattro and Friends. 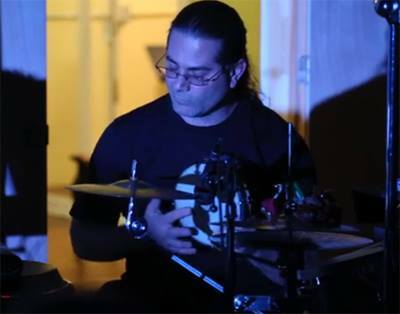 Michael is an incredible percussionist, check it out! I will be playing bass and trombone with J.P.A. Falzone and his PROVIDENCE RESEARCH ENSEMBLE in Brooklyn and Providence. My new piece SWARM! 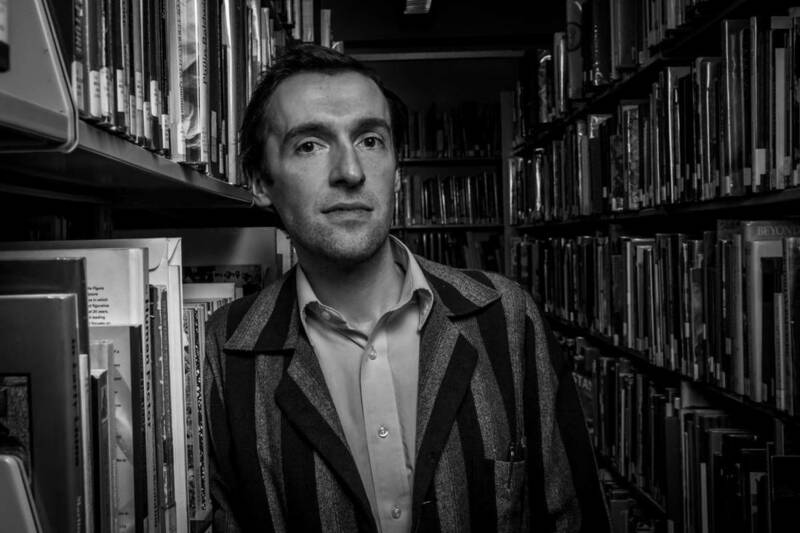 will be performed at the MFA in Boston as part of the Sound Bites concert series. SWARM! 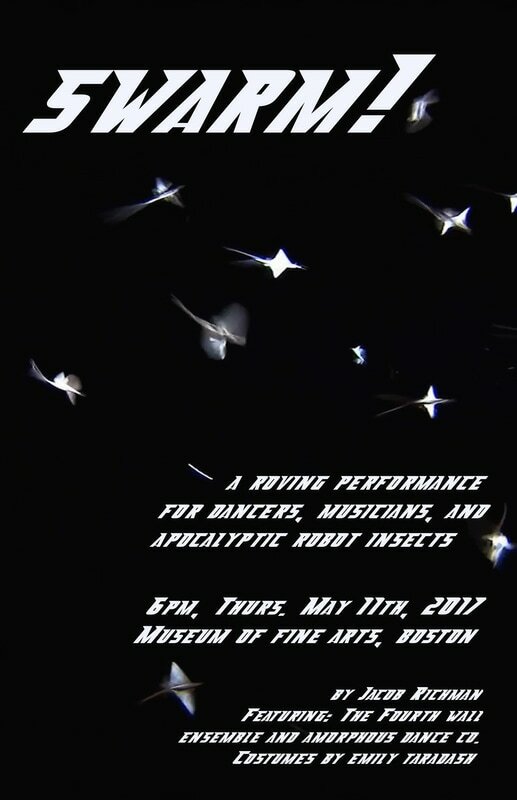 is a roving performance piece for musicians, dancers, and audience-responsive electronics based on themes of insect breeding swarms (mayflies), environmental degradation, and rebirth. The piece sprouted from the idea of a mysterious insect species that develops in the trash we humans discard everyday. They grow and molt and incorporate components of our waste into their bodies. They move and dance, and when the time is right, come together in an apocalyptic swarm. 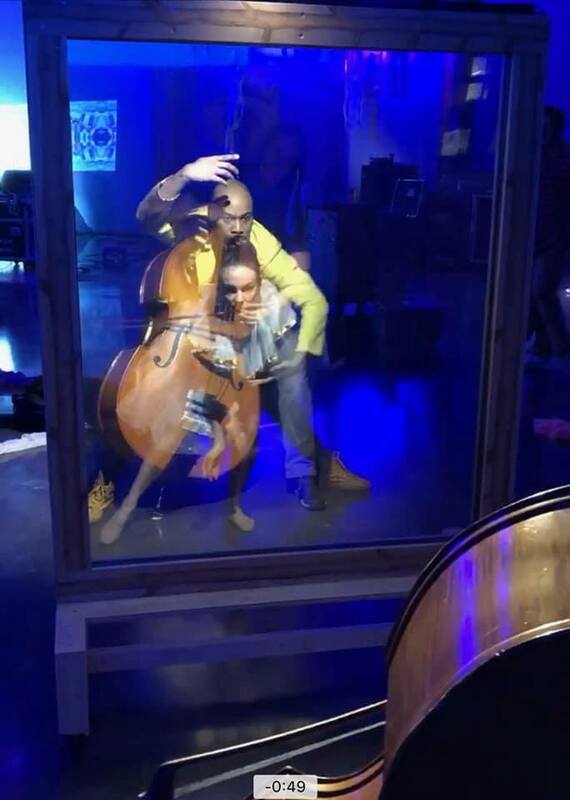 This performance will take place in various locations throughout the Linde Family Wing of the MFA starting at 6:00pm and ending around 7pm with a culminating performance near the stairway in gallery 168. Verdant Vibes will finish up its second season with a Festival of Music and Art, featuring the Verdant Vibes Ensemble performing selections from their call for scores, premieres and performances by students from our workshops at Trinity Academy from the Performing Arts, singer-songwriter Orion Rigel Dommisse, and Philly-based percussion trio Square Peg Round Hole. I will be playing bass with Verdant Vibes, the new music ensemble and concert series I co-direct with Kirsten Volness. 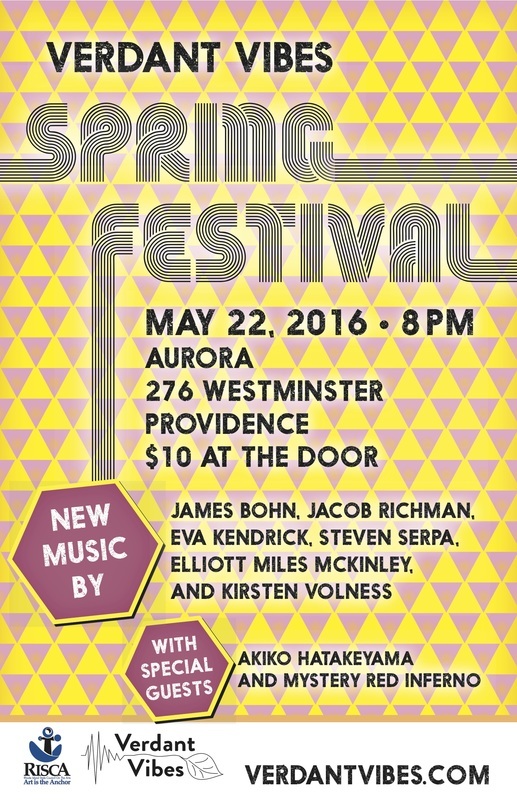 We will perform new music by ﻿Judah Adashi﻿﻿﻿, Julie Barwick, Michael Genese, Ssu-Yu Huang, Evan Williams, and Frances White. 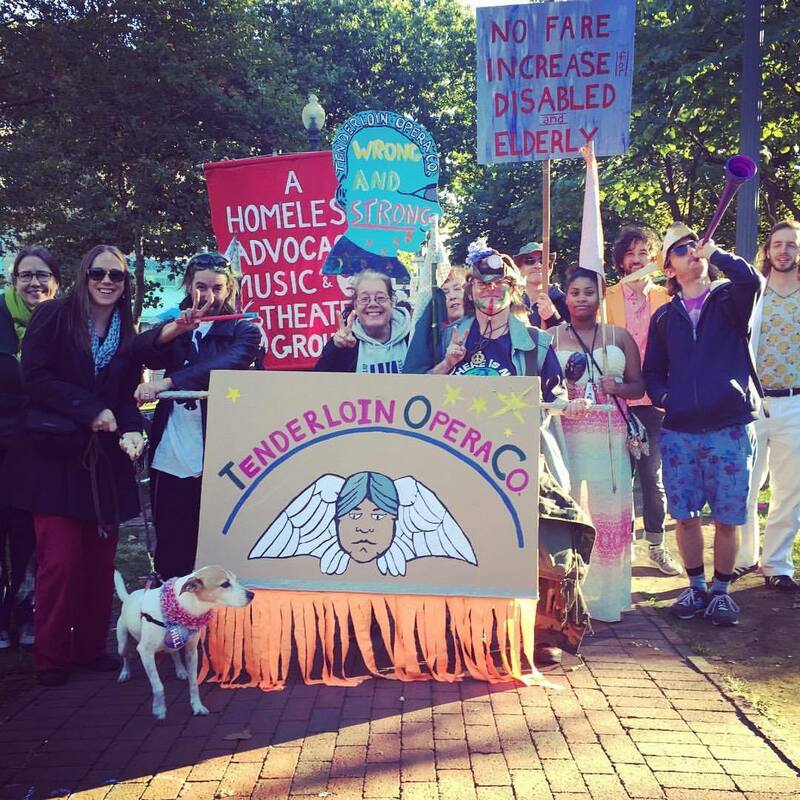 Tenderloin Opera Company will be playing at the Homeless Memorial at Praise Tabernacle church in Cranston this morning at 11am. 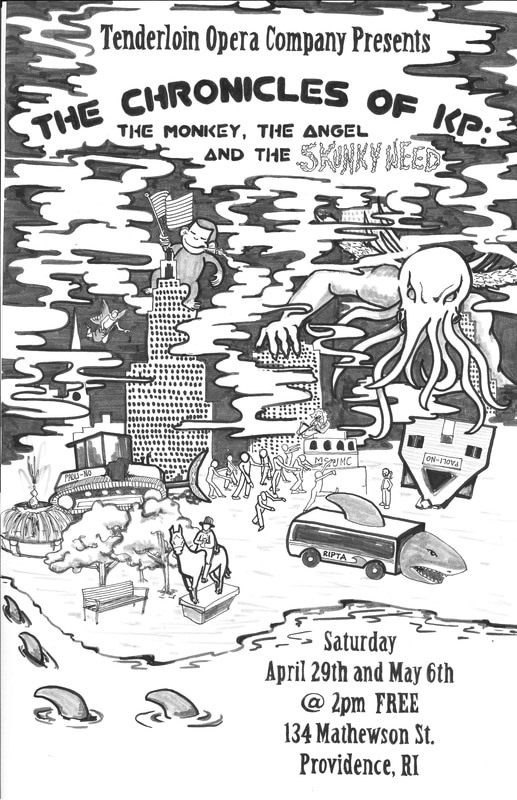 We will be playing two new songs, one in memory of Carl Freese, and the other for Melanie Siegel, and we'll be there to honor all those from the homeless community who passed last year. Hope to see you there!!! Verdant Vibes is pleased to present the first concert of our second season, featuring new electro/acoustic music and multimedia by composers from around the world! 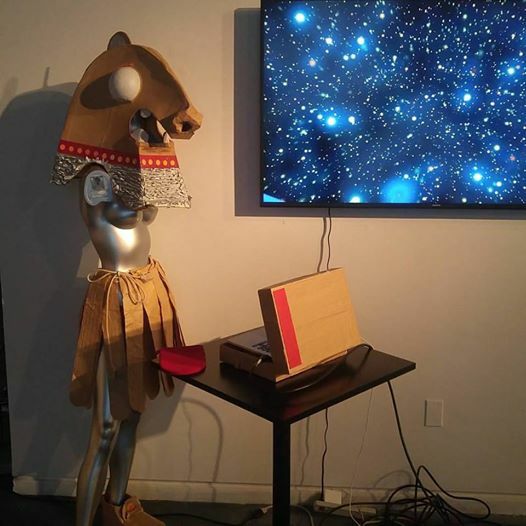 Bevin Kelley, aka Blevin Blectum, is an electronic musician and multimedia artist from Providence, RI whose work combines sound, imagery, and costume to create eccentric and mesmerizing performances and studio work that explore topics from science fiction to ornithology. She specializes in unique collaborations with other musicians, artists, and clothing designers. This show is a collection of her audio and video work, posters and graphic design, and some of the specially made costumes and sculpture she performs with. featuring: Blevin Blectum, Alex Dupuis, Domestique, Asha Tamirisa, Caroline Park, Ryan Junell and more tba! 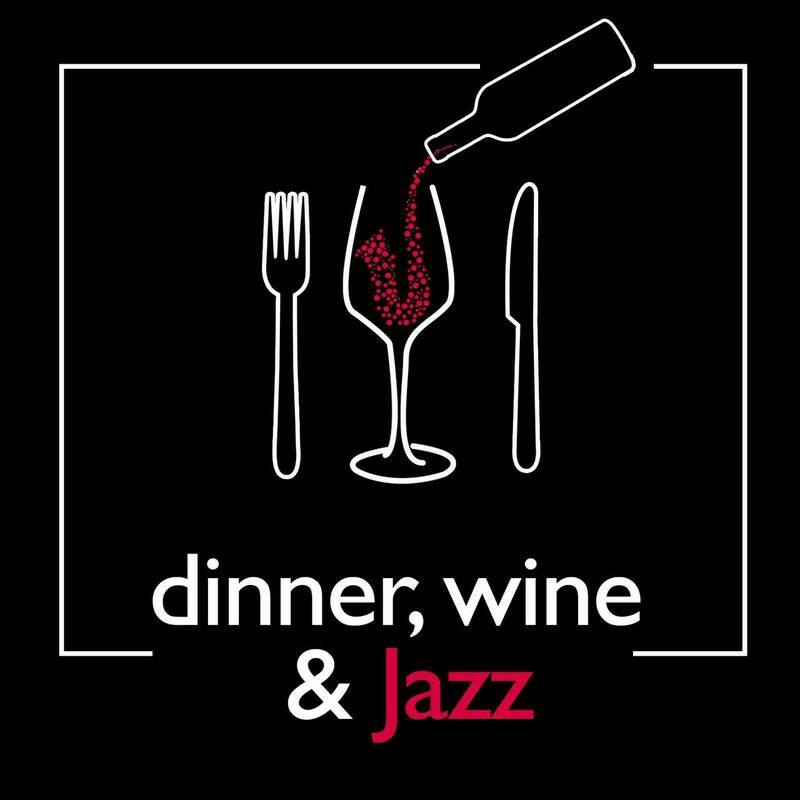 I will be performing with a jazz combo for Wine & Waterfire, a fundraiser dinner for HeadUpRI, the hosting organization for Tenderloin Opera Company, that specializes in service and outreach for the homeless community in Providence as well as supporting community-based theater. 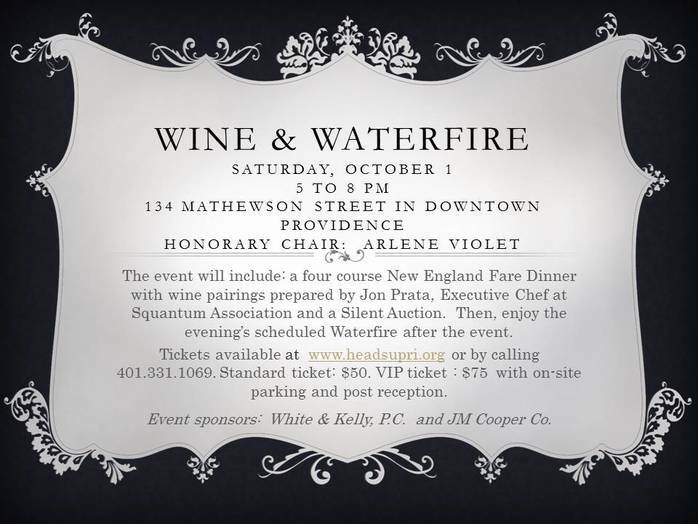 Tickets will include a multi-course gourmet meal by local chefs, drinks, raffle, and entertainment. Verdant Vibes and Tenderloin Opera Company Win Dorry Awards!!! Delighted and proud that two groups I'm a member of won DORRY awards tonight. Verdant Vibes for best classical/opera performance. And Tenderloin Opera Company for best "curveball" performance. Thanks and congrats to all our group members and folks who voted! Two of my groups are nominated for a local arts/culture award: The Dorrys! Please VOTE HERE for Tenderloin Opera Company in the categories, "Production of the Year" and "Curveball of the Year"
and Please VOTE HERE for Verdant Vibes in the categories, "Performance of the Year" and "Ensemble of the Year." 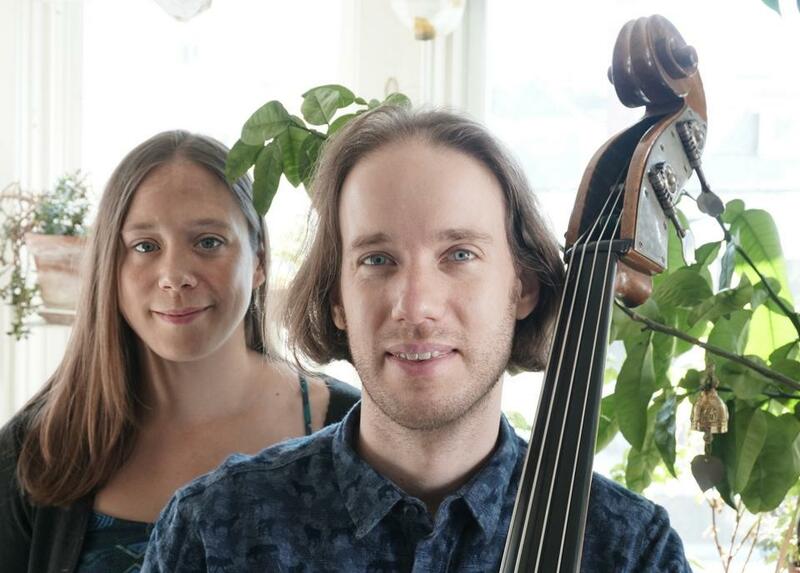 Verdant Vibes, the new music ensemble and concert series I co-direct with Kirsten Volness, announces its second season. Thank you to the 400 fabulous composers and artists who submitted over 800 pieces to our call for scores! For a full line up of featured composers, guest artists, and concert info, please click HERE. Also, Rhode Island-based culture and events guide Law and Order Party has nominated Verdant Vibes for 2 Dorry awards: Best Performance – Classical/Opera, and Ensemble of the Year. Please vote HERE by Sept. 15 and help us win these awards! The awards ceremony is Sept. 27 at Aurora in Providence. 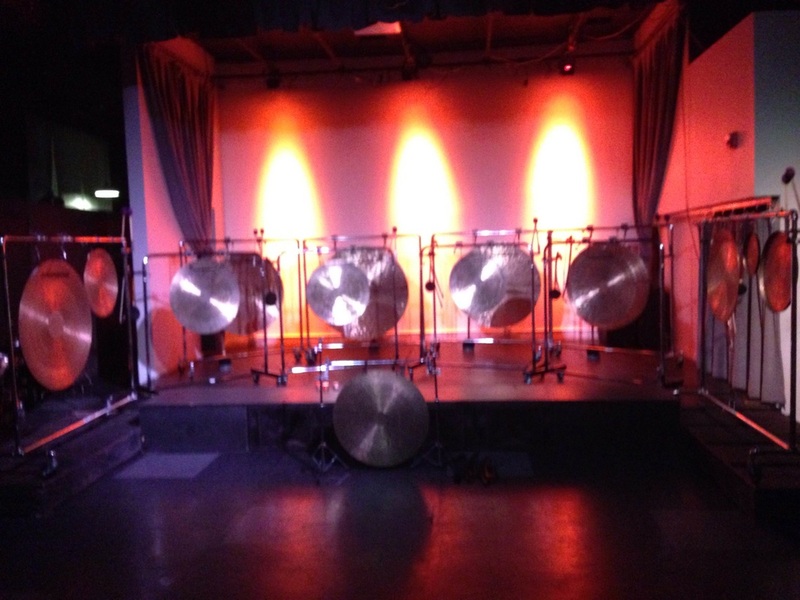 Nakatani Gong Orchestra, accompanying percussion genius Tatsuya Nakatani in his unique style of improvised percussion music. 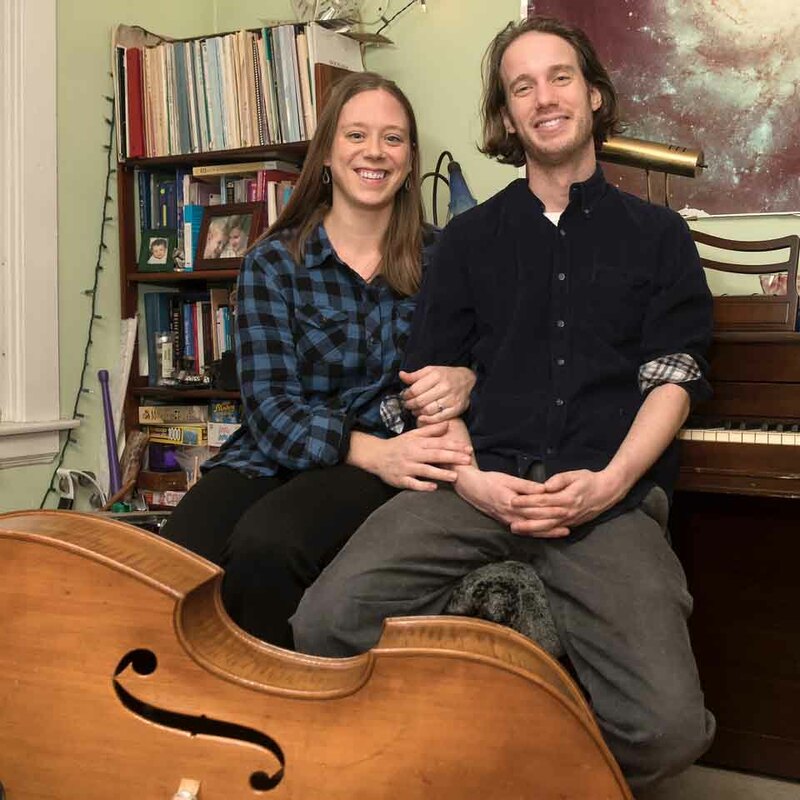 Verdant Vibes, a Rhode Island-based new music ensemble and concert series founded by me and Kirsten Volness, will perform the final concert of our successful first season. 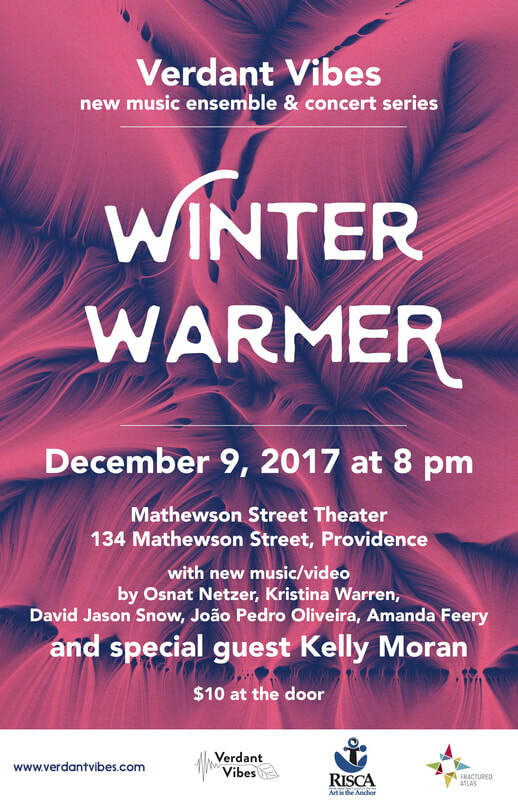 We will perform my new piece, Pixie Goes for a Walk, for electric guitar, double bass and, vibraphone, as well as new music by Rhode Island based composers Kirsten Volness, Eva Kendrick, Elliot Miles McKinley, and James Bohn. I will also be performing Steven Serpa's beautiful/devastating An Ally, An Adversary for double bass solo. We will be joined by special guests Akiko Hatakeyama and closing band Mystery Red Inferno (Alec K. Redfearn and Chris Sadler). 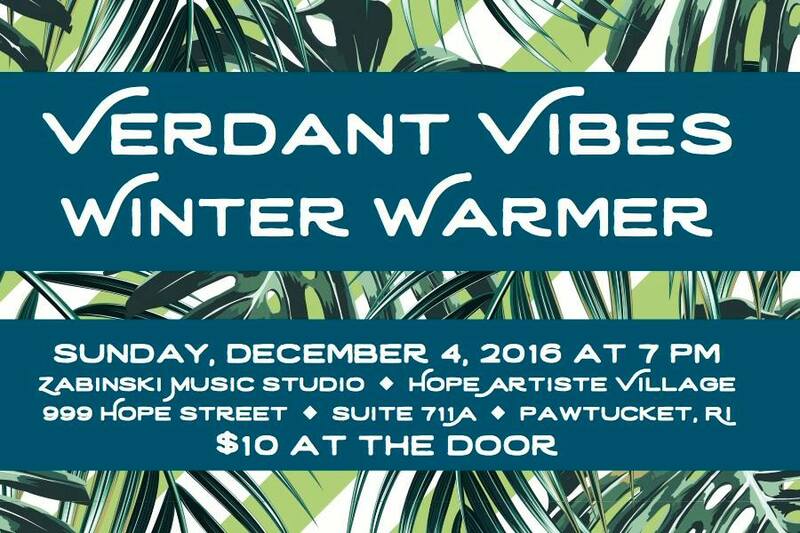 Kirsten Volness and I are presenting a Benefit Concert to support our new music ensemble and concert series: Verdant Vibes. 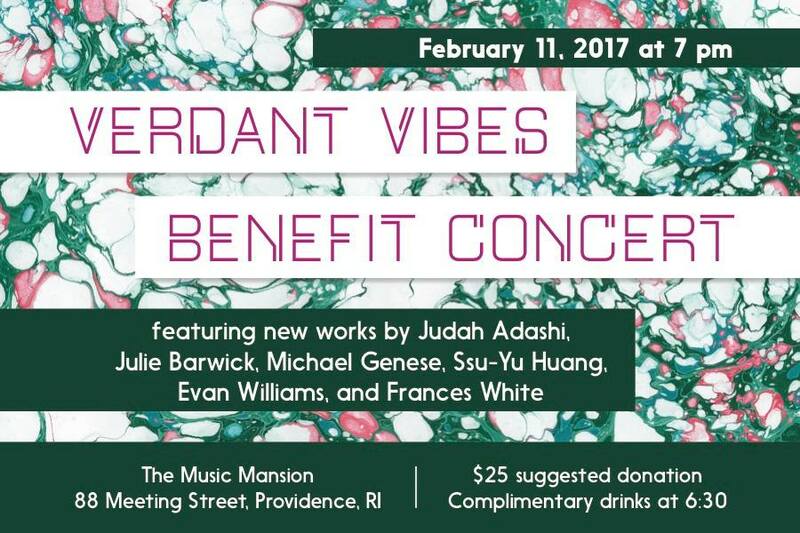 Come early for complimentary drinks including beer donated by Lagunitas and Foolproof Breweries, make new friends, chat with the artists, and stay for a concert of new electroacoustic, solo, and chamber music by Rhode Island composers. Andie Tanning Springer will﻿ be performing my piece Windeye and other solo violin/voice pieces, along with new music performed by Anti-Social Music in ASM vs. Andie Springer. 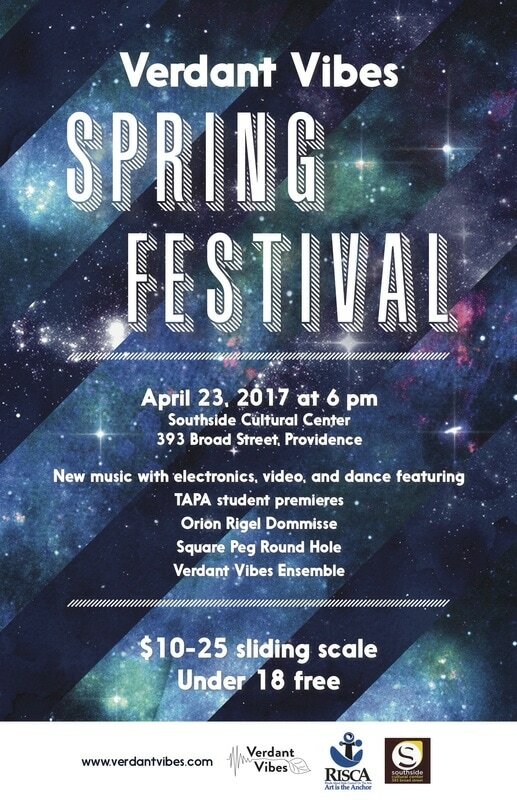 ﻿Ensemble/Parallax will﻿ be performing an evening of contemporary music at Aurora in Providence. 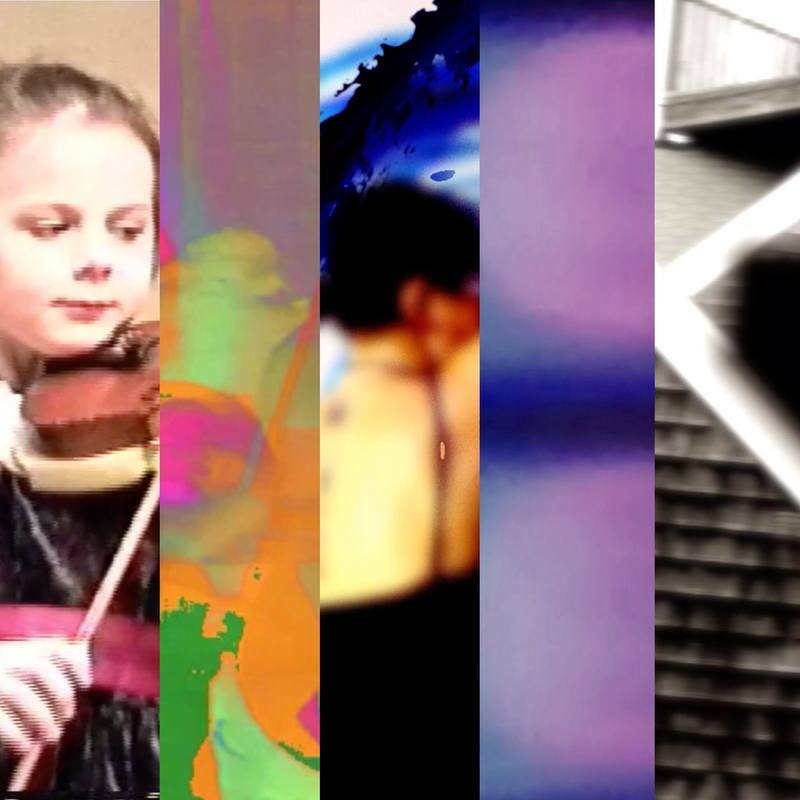 I will be screening a new video to accompany their performance of Mortan Feldman's the viola in my life (1). Tenderloin Opera Company will perform a new song, "Catfish," at the Homeless Memorial Service and Luncheon. The Homeless Memorial is a public tribute to those homeless people and homeless advocates who were lost this past year. 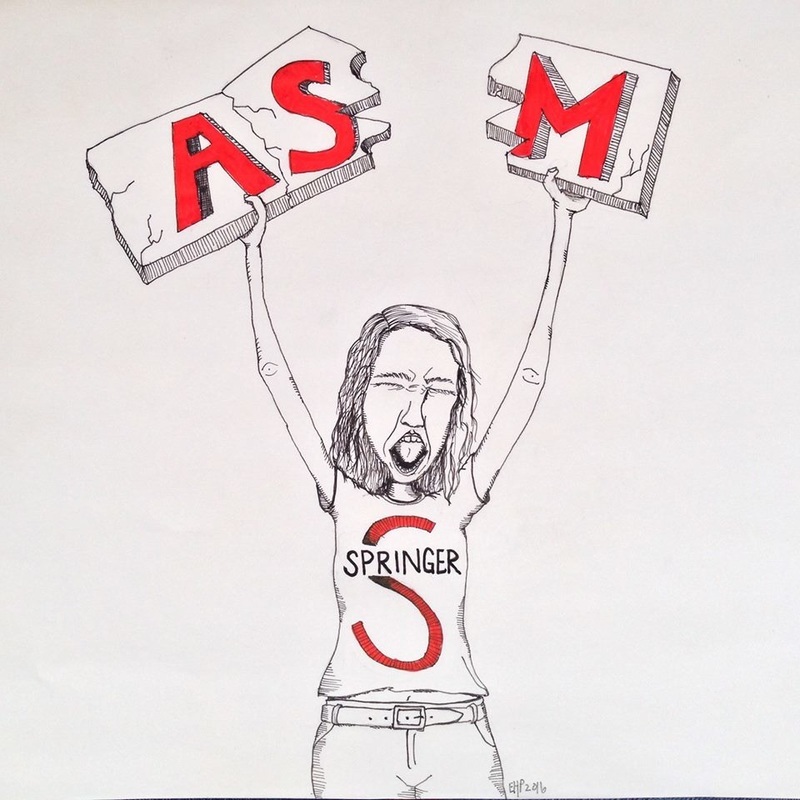 Catfish is a song dedicated to Jim Gillen, a talented musician and tireless advocate for the homeless community. He was also dedicated to the support of those recovering from addiction and founded Anchor Recovery. 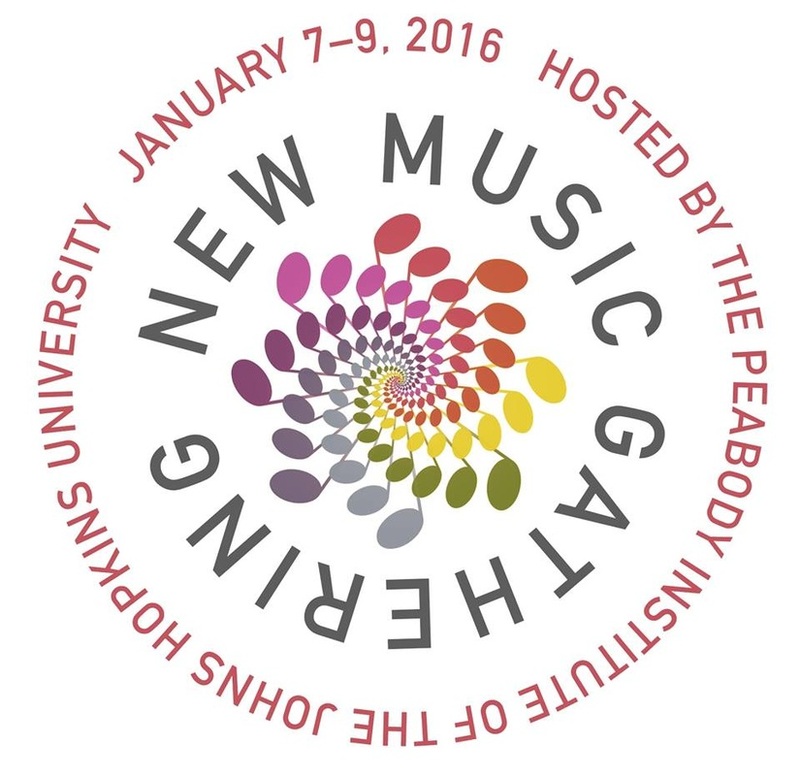 Tenderloin Opera Company members will present on a panel "New Music and Community Building" at the New Music Gathering conference. We will perform a couple of songs fallowing the panel discussion, and will present, perform, and meet with local homeless advocacy groups while in Baltimore. Windeye as part of the Verdant Vibes Launch Party. Verdant Vibes is pleased to present the first concert in a new series focusing on new music by living composers who work within a diverse sphere of influence, combining acoustic, electronic, and multimedia performance. Season one features Rhode Island artists and numerous world premieres.